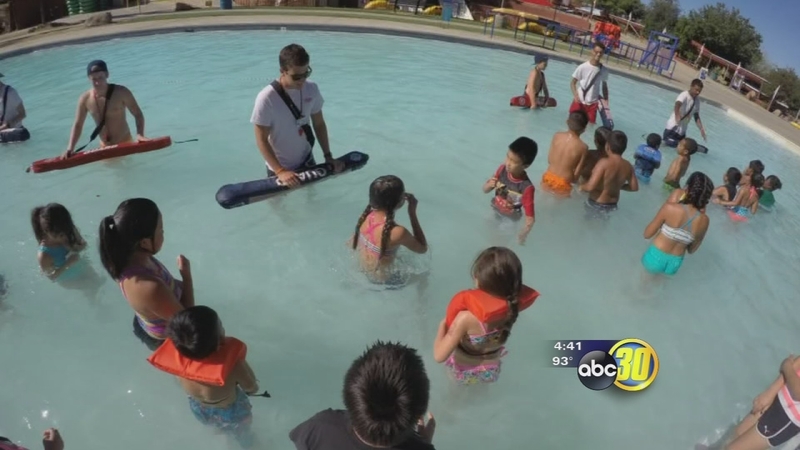 FRESNO, Calif. (KFSN) -- Wild Water Adventure Park is offering a free way to beat the heat and to help set a Guinness World Record at the same time. On Thursday water park will participate in a nationwide event to attempt to break the record for the largest simultaneous swimming lesson conducted at multiple venues. Participants will get free admission to the water park. Professional lifeguards and swim instructors will be available during the event. The water park says the event is the perfect way to introduce little kids to the water safety, but all ages are welcome. If you want to attend, you are asked to arrive at the park in Clovis between 8 am-8:30 am. The event will last until about 10 am and participants are welcome to stay at the park for the rest of the day.